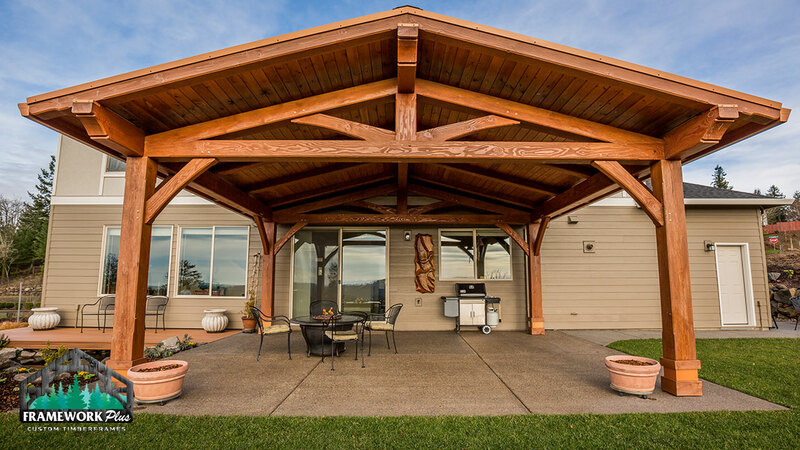 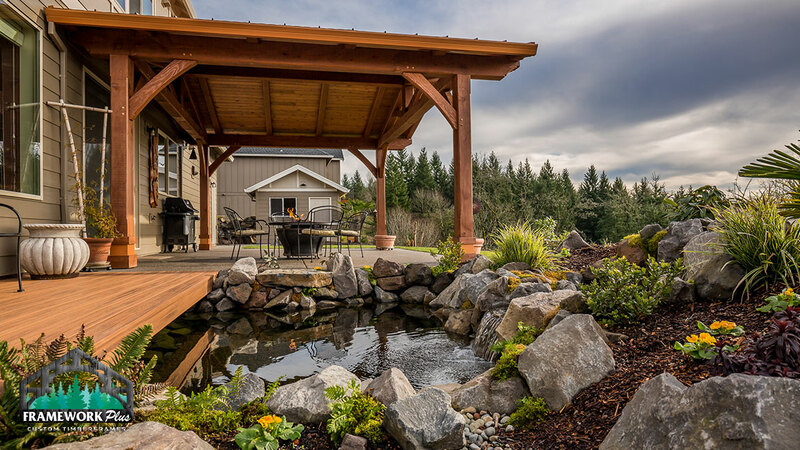 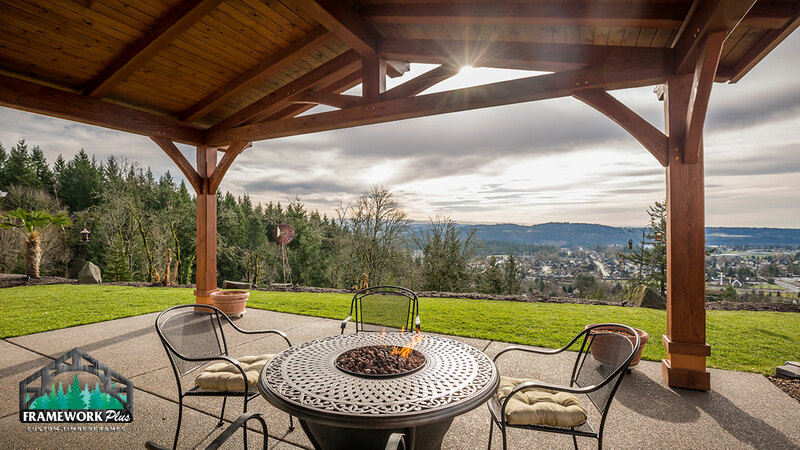 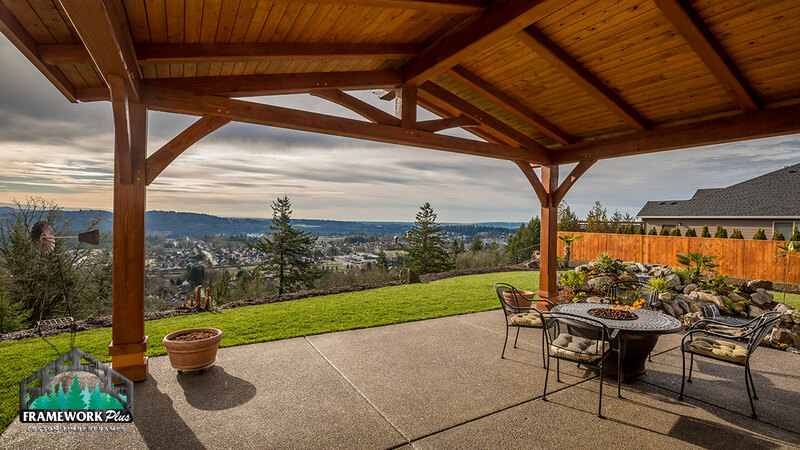 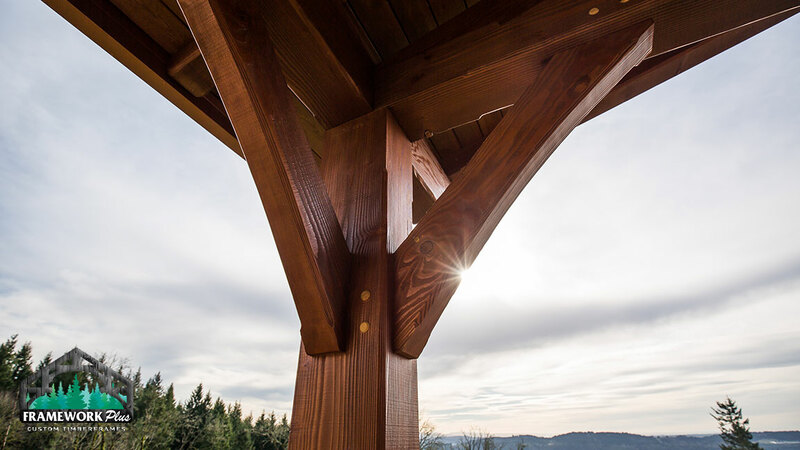 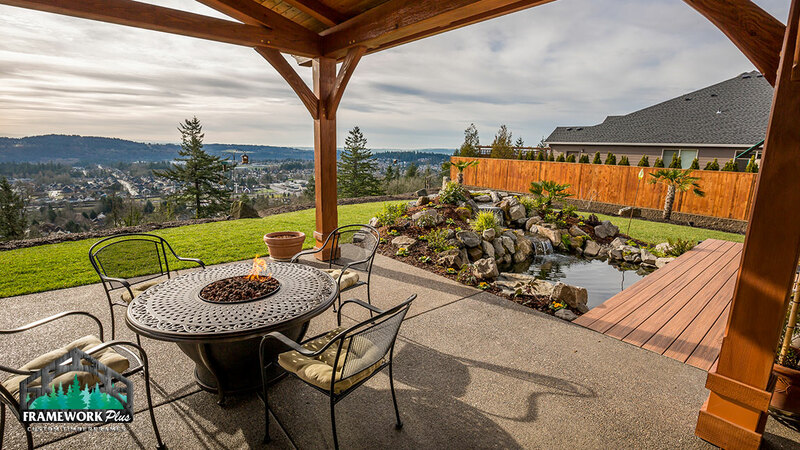 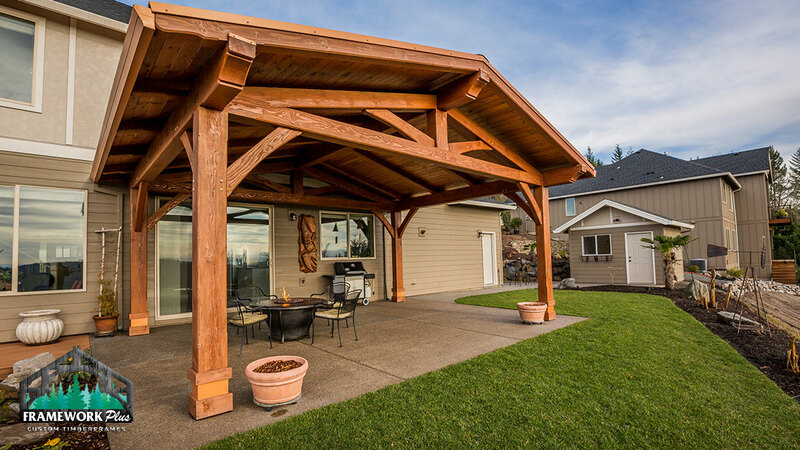 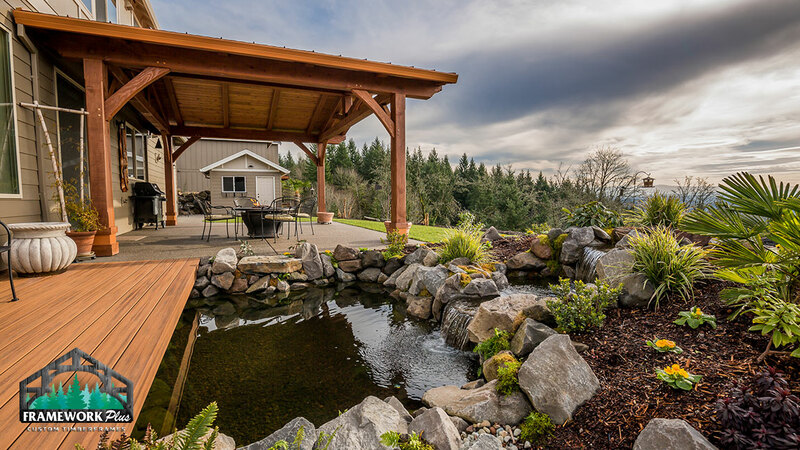 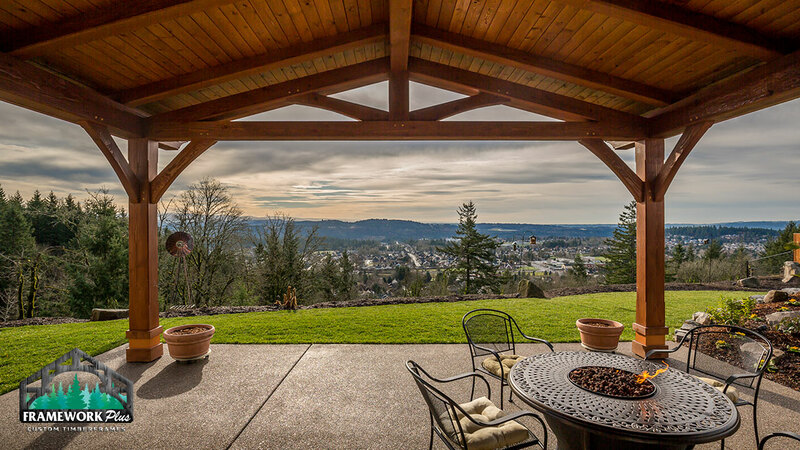 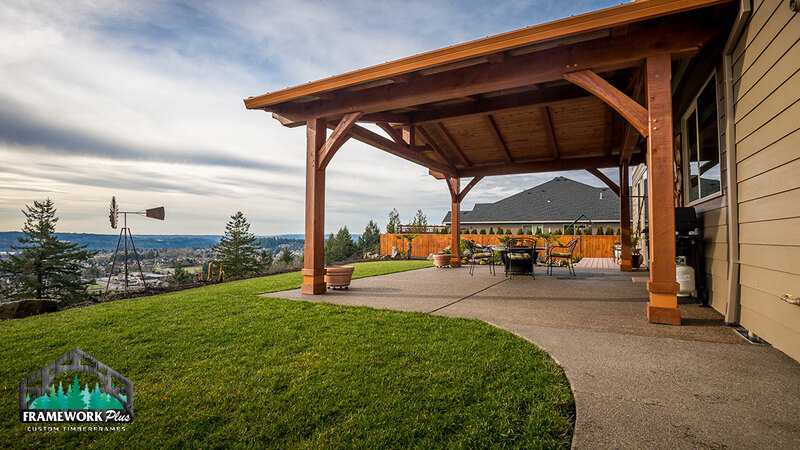 Located in Happy Valley, Oregon, this beautiful freestanding pavilion with king post trusses has some of the best views in town. 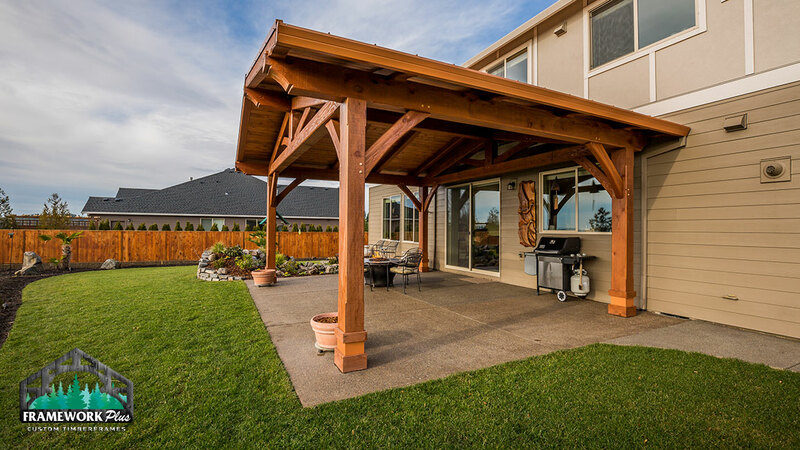 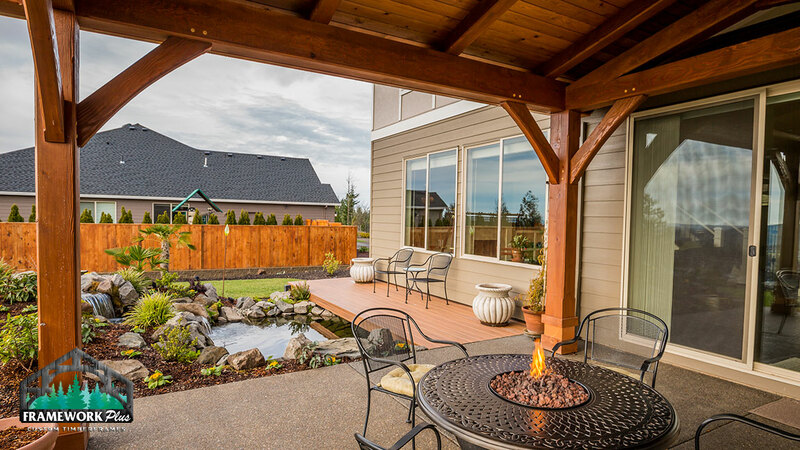 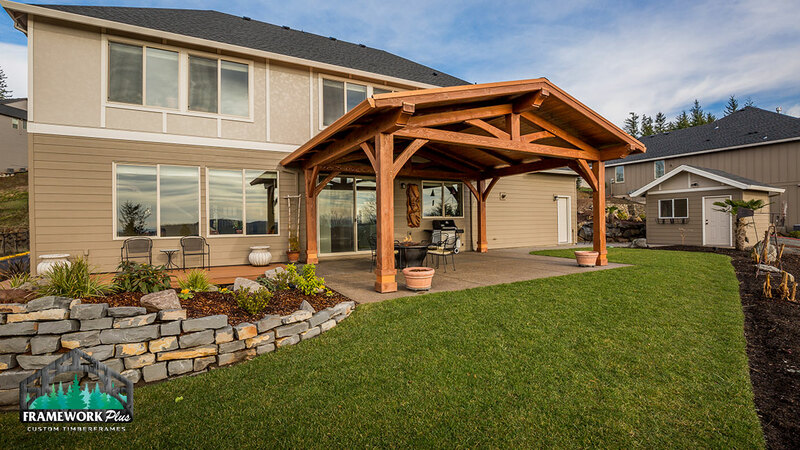 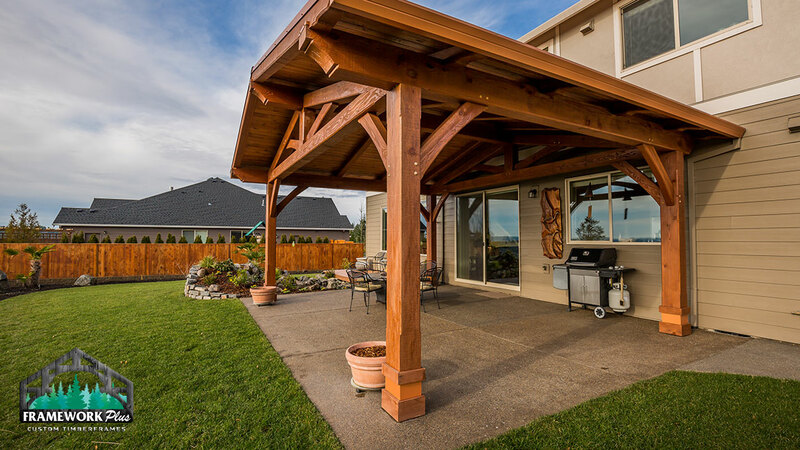 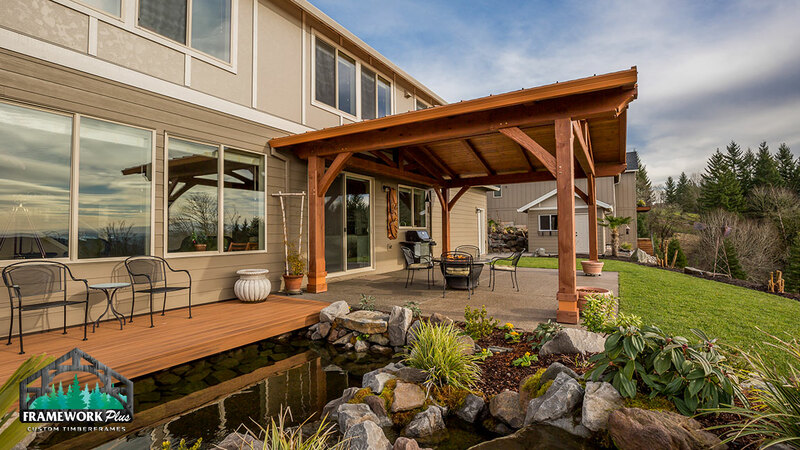 The 18’ x 14’ timber frame patio cover is up against the house to provide a seamless transition to the outdoor living area, but is not physically attached. 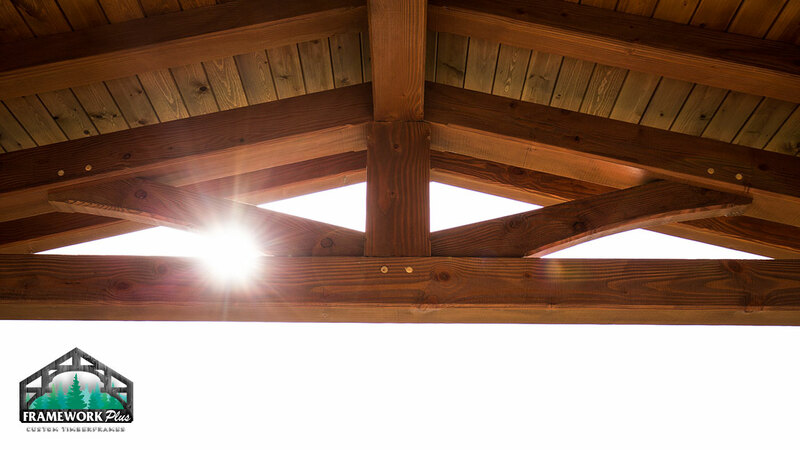 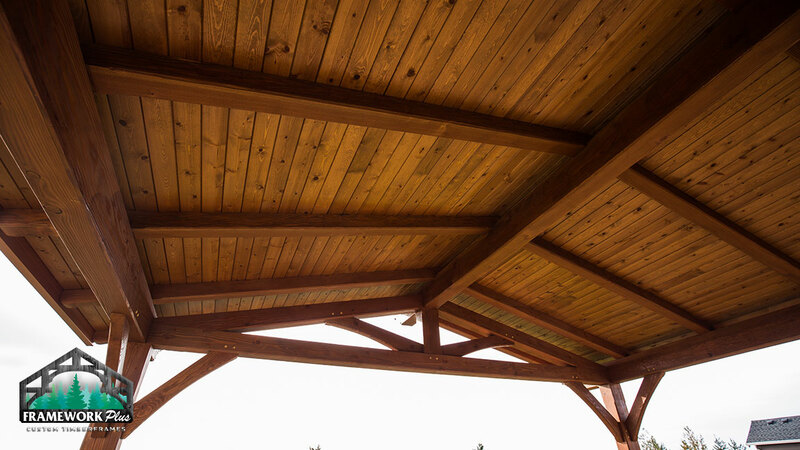 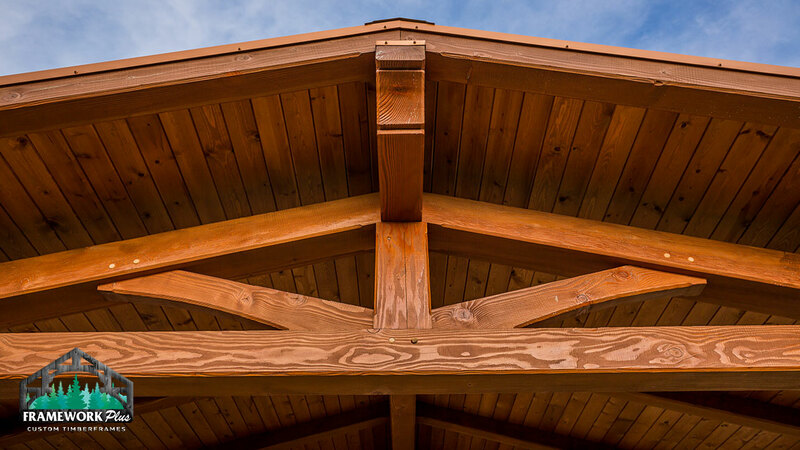 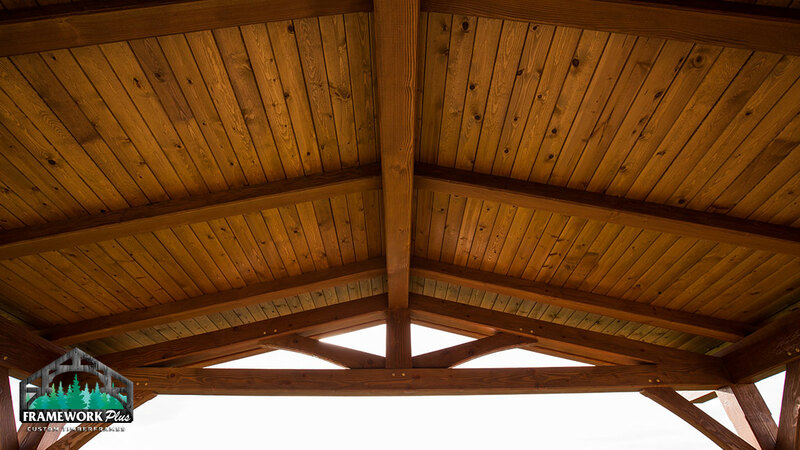 The tongue and groove wood ceiling paired with standing seam metal roofing make this structure a weather resistant place to gather with friends and family all year round.